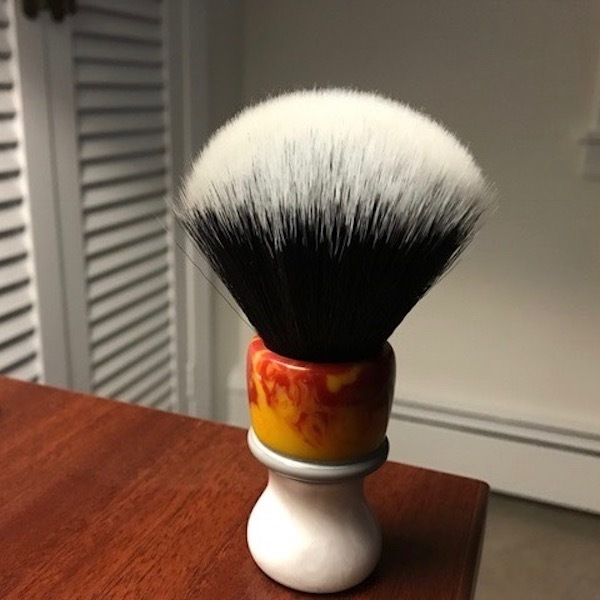 Had Nathan @ Envy Shaves make this brush for me in November 2016...RED YELLOW FELLOW with 25mm Blackwolf Synthetic II Knot...handle height is 2.5" / brush weighs 2.8" oz. 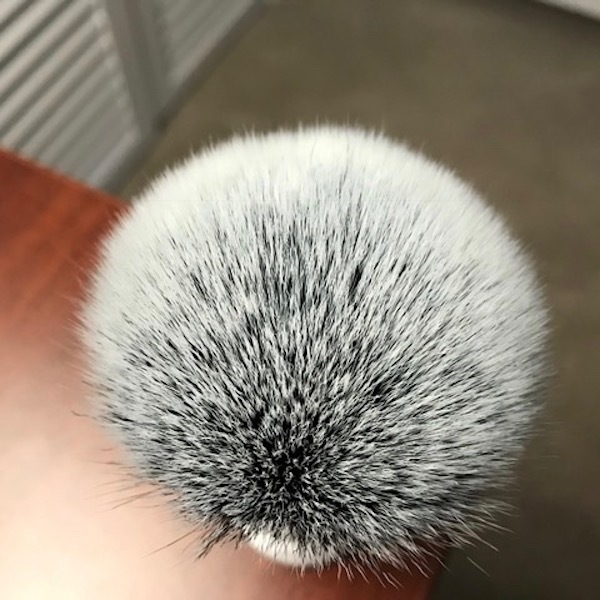 This is one of the best performers in my rotation and I can't say enough about the Blackwolf Synthetic knot----I have this knot in 4 other brushes and absolutely love it. Use it to face and bowl lather (although I face lather 95% of time) and the knot feels amazing on your face. 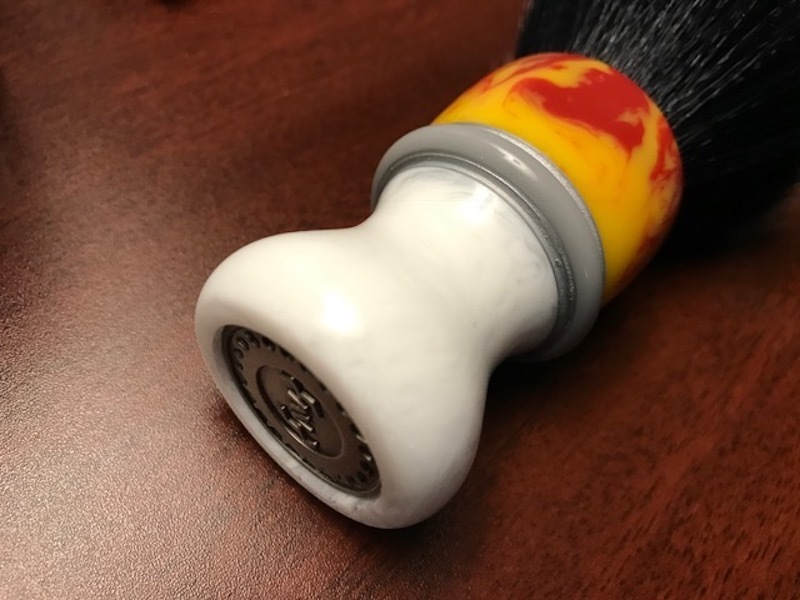 Knot offers the perfect amount of backbone to whip up a lather using soaps and creams regardless if they're hard or soft. Please consider my 100% positive feedback on TSN with more than 100 positive transactions. 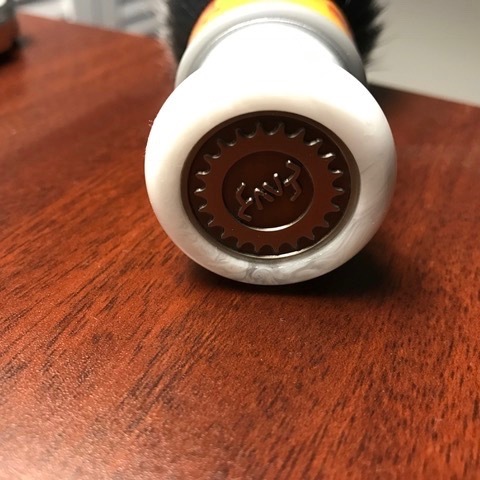 Thanks for considering my listing and purchase with confidence. You will not be disappointed.